Hi everyone. 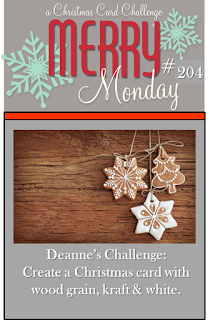 Today I made a card for the Merry Monday challenge #204 hosted by Deanne. I used a technique by my good friend Karen (Snippets) to create this woodgrain background. Click HERE to see Karen's tutorial --- so fun! Then I tore a piece of white card stock to create my snowy hill, cut out the deer using my Silhouette Cameo (sponging kraft ink over top), and stamped a simple sentiment. I hope you'll come play long. There's still lots of time to play ... challenge closes Sunday, May 15 at noon (PDT). Love your dark wood grain, Loll! And that deer prancing (or is he dancing) in the snow makes me smile! Thanks for sharing him with us at Merry Monday! great card Loll - and love the perky deer! and that is a neat way to do woodgrain! Adorable scene! Love the great wooden fence, coloration of the deer, and the torn cs really looks snowy! Love how you colored the deer against the the darker wood grain background. Deer make such nice, nature based Christmas cards. Lovely card Loll for this week's Merry Monday. Thanks for joining us this week at Merry Monday. A lovely card and the deer looks so cute. Must check out that woodgrain tutorial as it certainly looks great as a background. I love this Loll!! 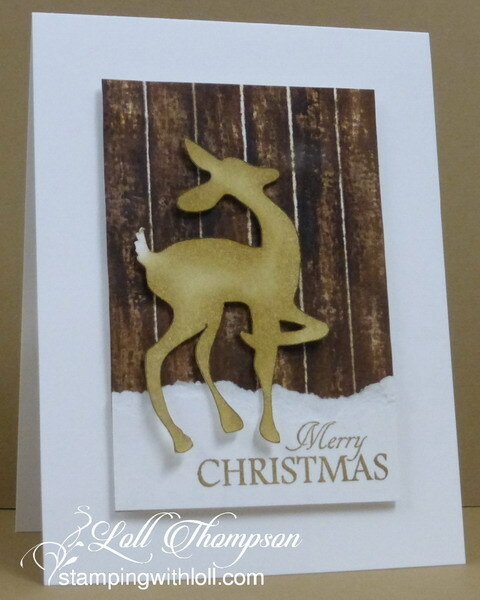 Fab card and your woodgrain turned out fab. Thanks for linking it up to my blog. It has been sheer nutty madness here and am playing catch up. Can't believe how many awesome creations I have missed Loll.. the roses below are so beautiful and I simply love the Brushos with Bleach. Still trying to come to terms with the Brushos here! Your scene is just beautiful, Loll...the deer image is so elegant and what a great background for it! Thank you for joining us at Merry Monday! Your woodgrain is so beautifully done and the perfect backdrop for your deer! I tried this and did not succeed but would love to try it again! Terrific card! I too love this card and the woodgraine! 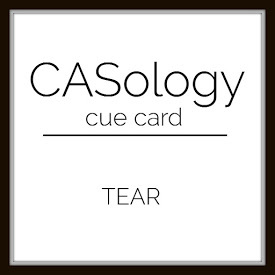 That dear is perfect for a masculine card! What a wonderful card Loll. Your beautiful design always hit the right spot! Super masculine Christmas card, Loll. I love your torn snow. :) Thanks for playing along at ATSM. Just love your deer with the woodgrain behind, Loll!! Gorgeous, Loll! Love the texture on the deer and the fabulous woodgrain! Thanks for playing along with CASology this week! Wow, that is a cool woodgrain technique (just checked out Karen's post about it, very cool!). I really love the torn paper edge for snow, a very cool effect! Thanks for joining us at CASology this week! Your woodgrain background is amazing, Loll! I love how you tore the paper to create snow, and the deer is just beautiful inked in Kraft...WOW! What a lovely project! Love that woodgrain panel. Thanks for joining us at ATSM.